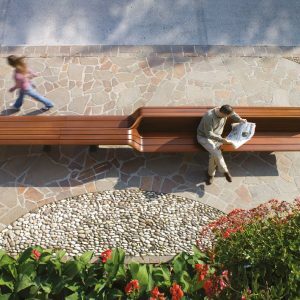 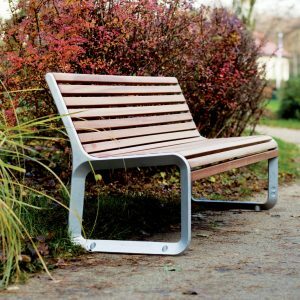 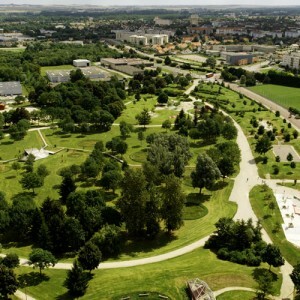 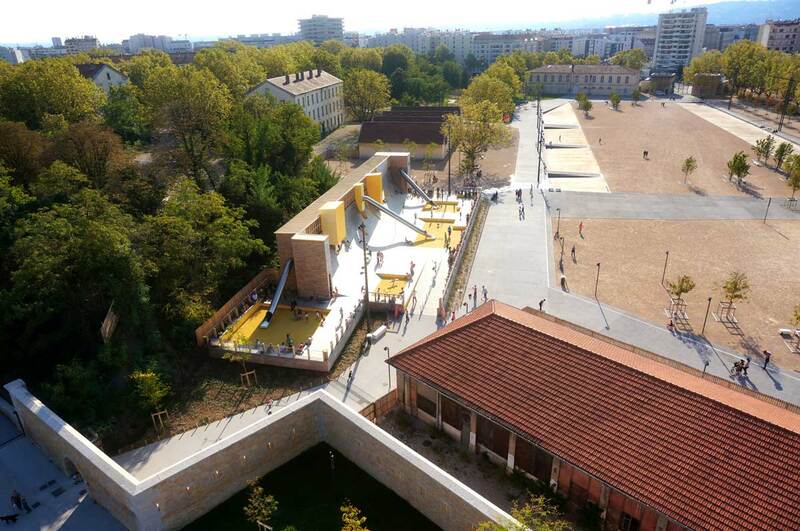 BASE: In the heart of Lyon, on the old Sergent Blandan barracks from 1830, a new public space of 20 hectares was opened in 2014 : Blandan park. 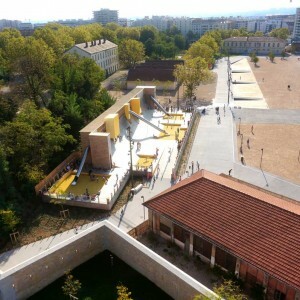 On this nonstandard site, unnoticeable for a long time, new urban, contemporary and exclusive spaces were designed for “Grand Lyon”. The Rampart Wave is one of those spaces. 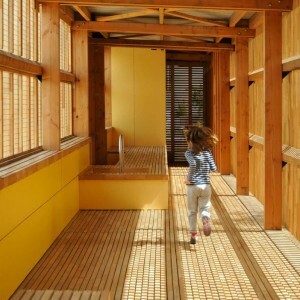 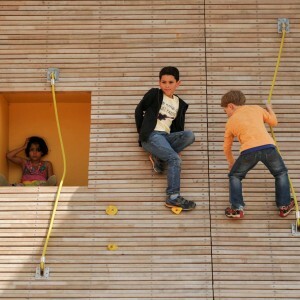 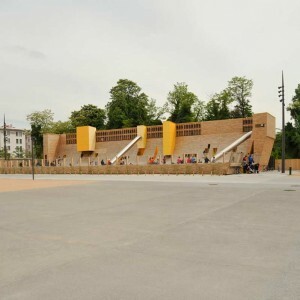 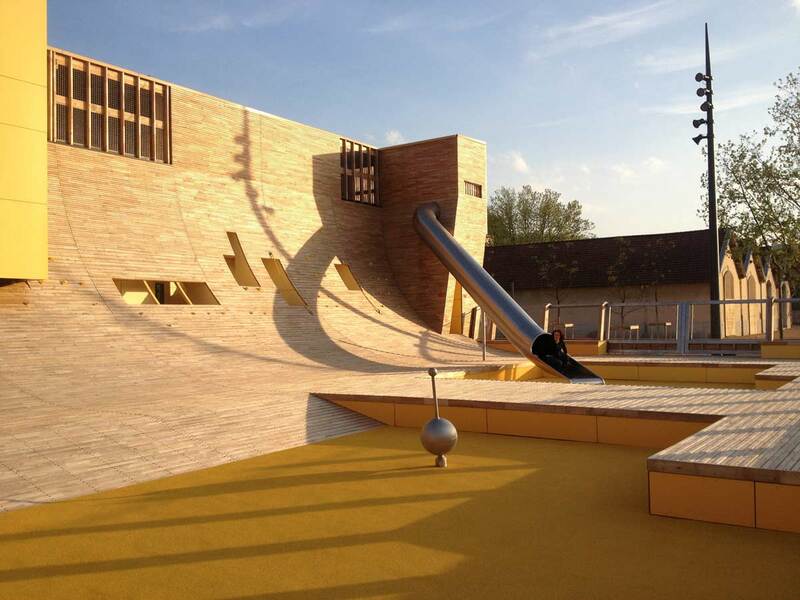 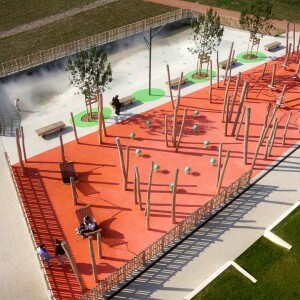 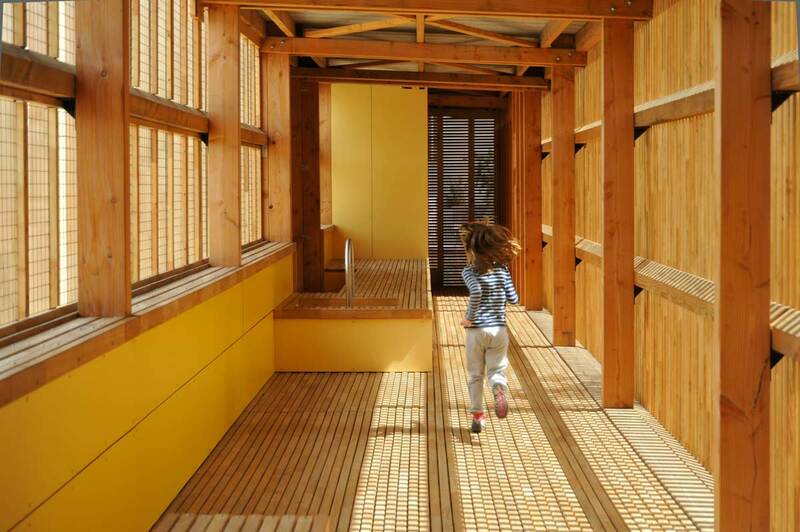 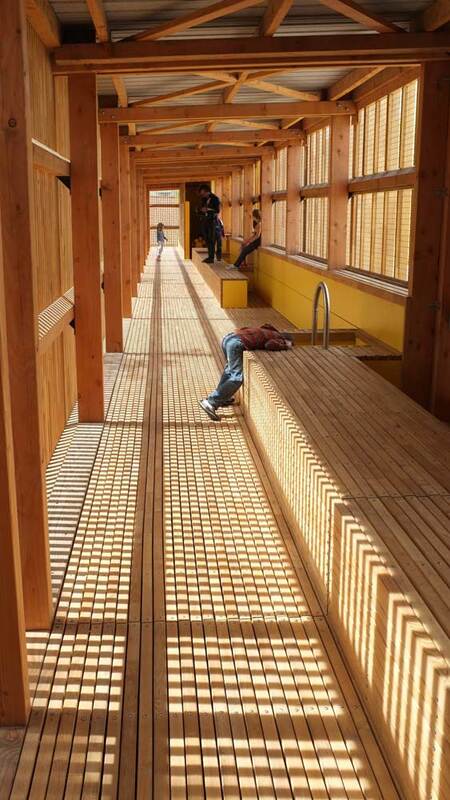 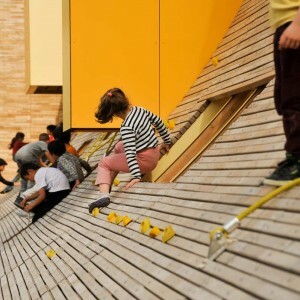 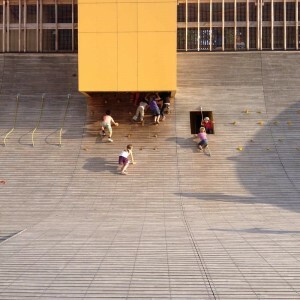 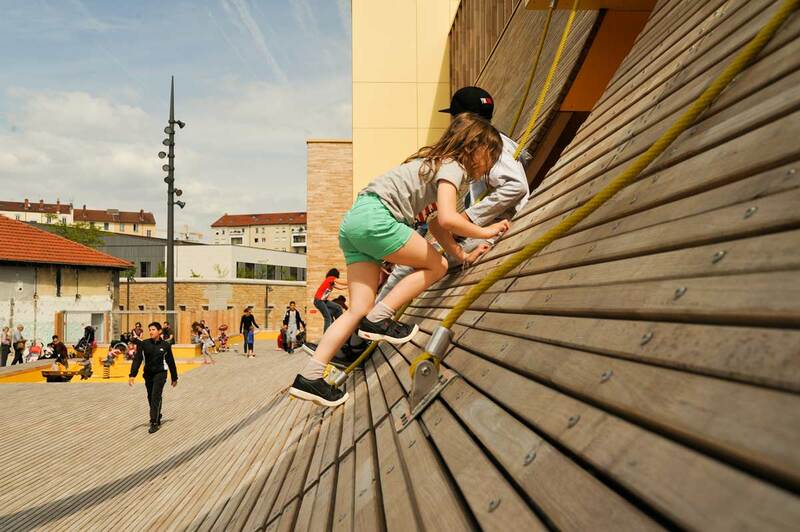 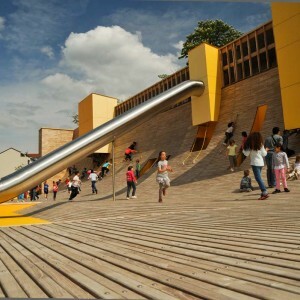 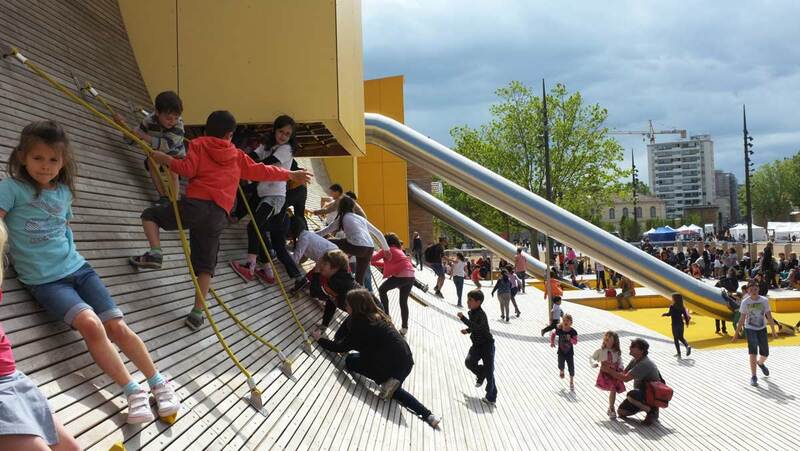 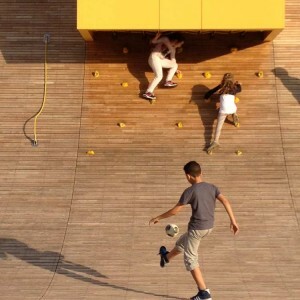 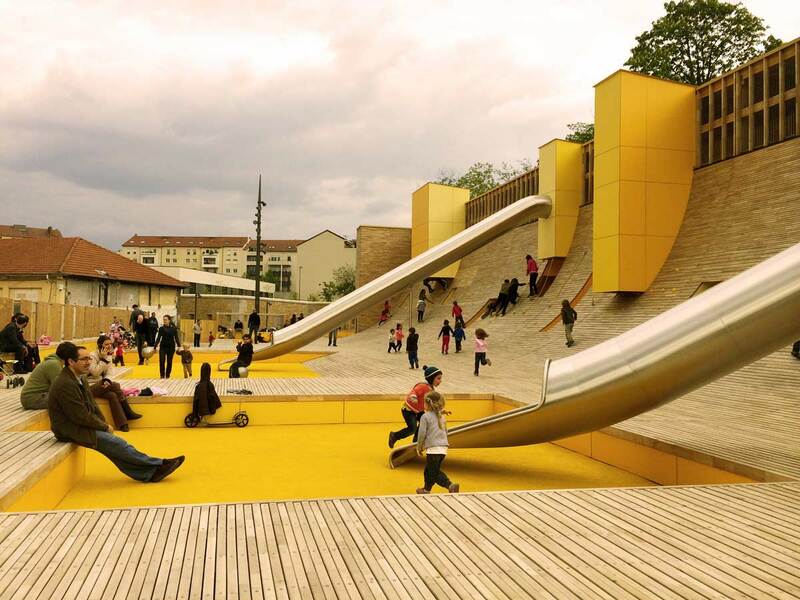 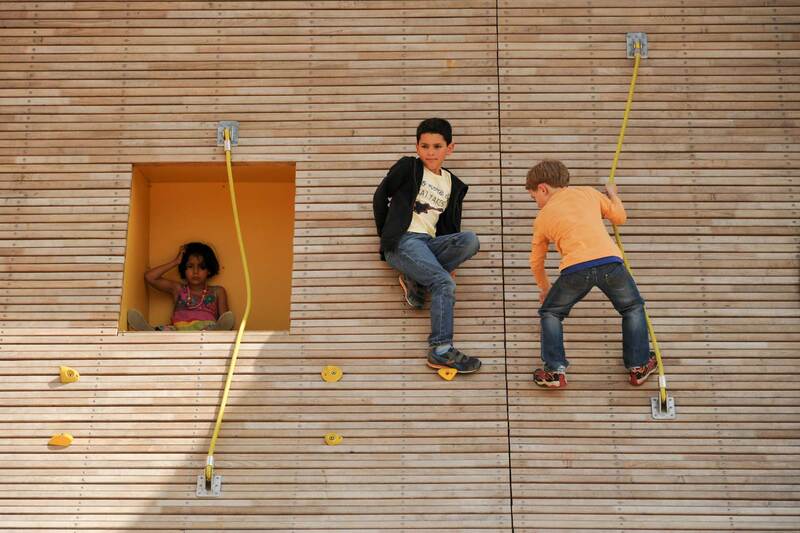 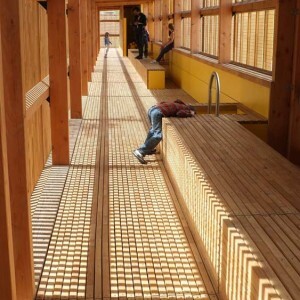 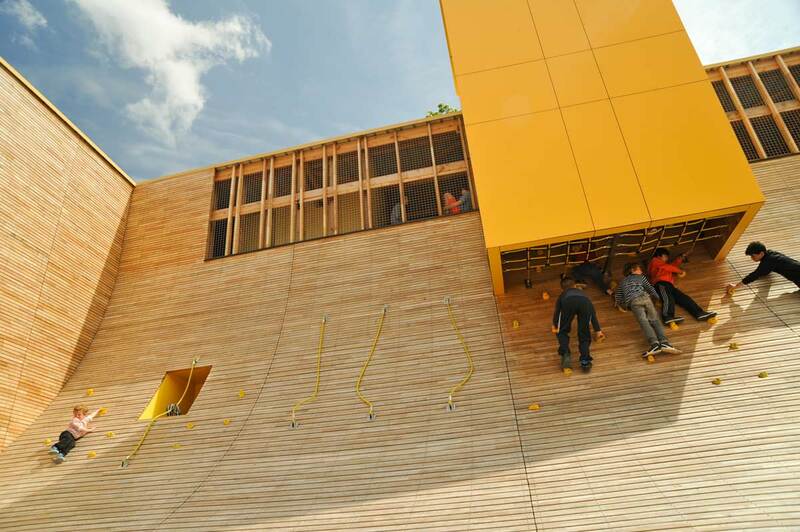 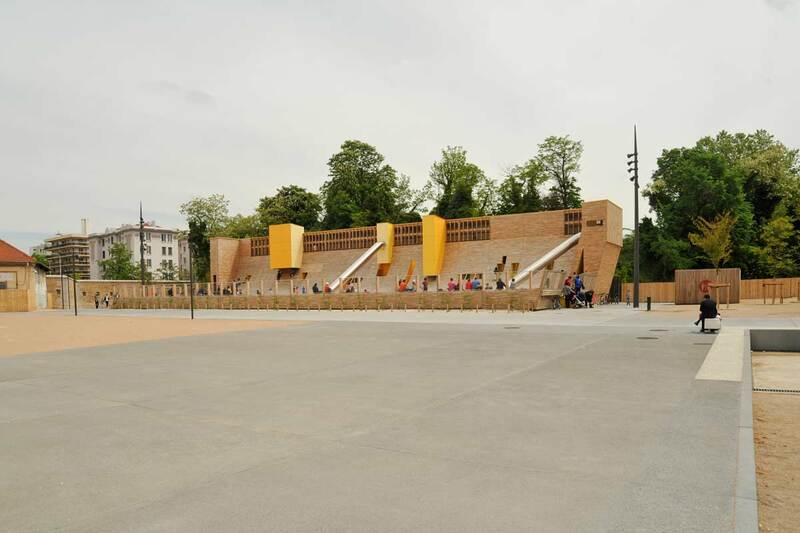 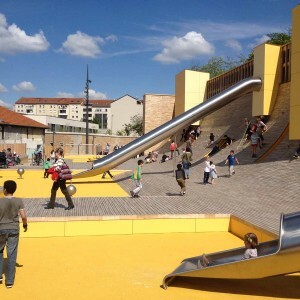 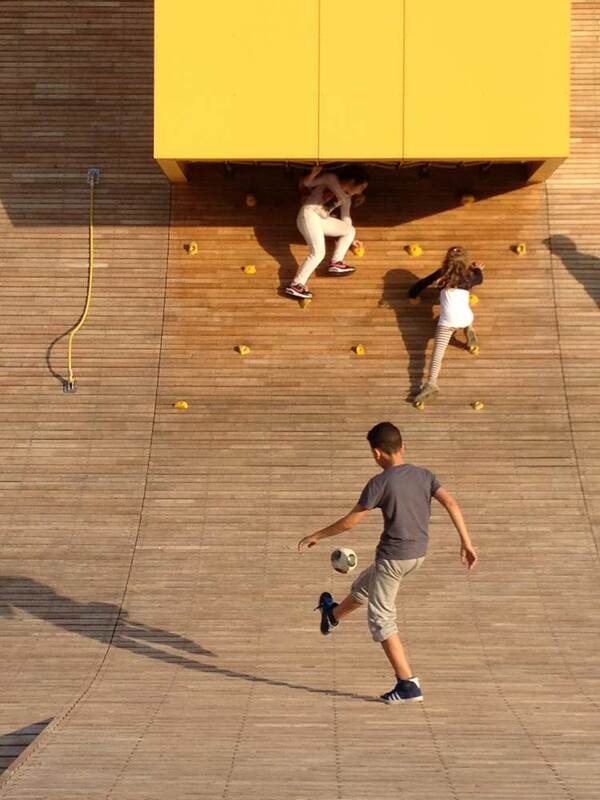 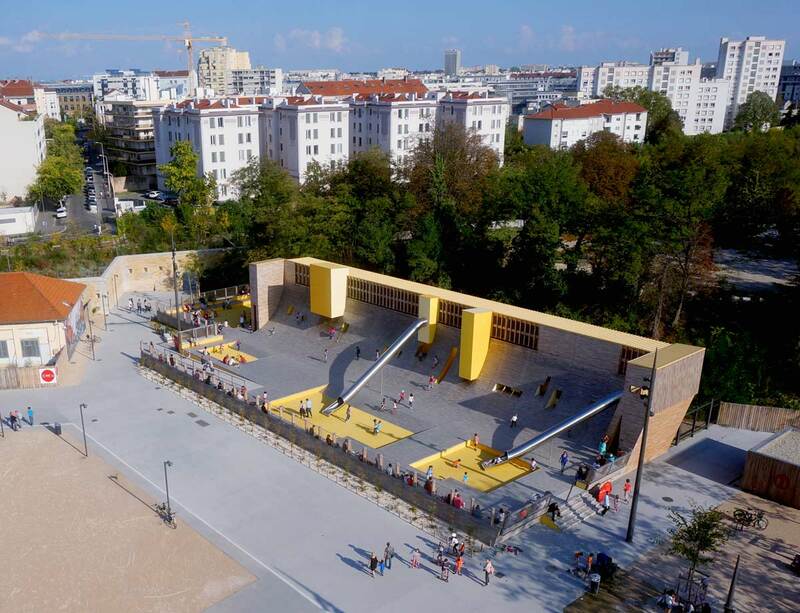 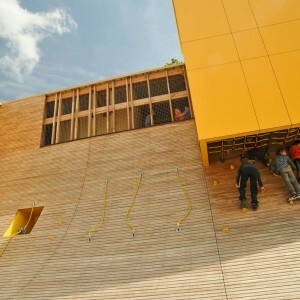 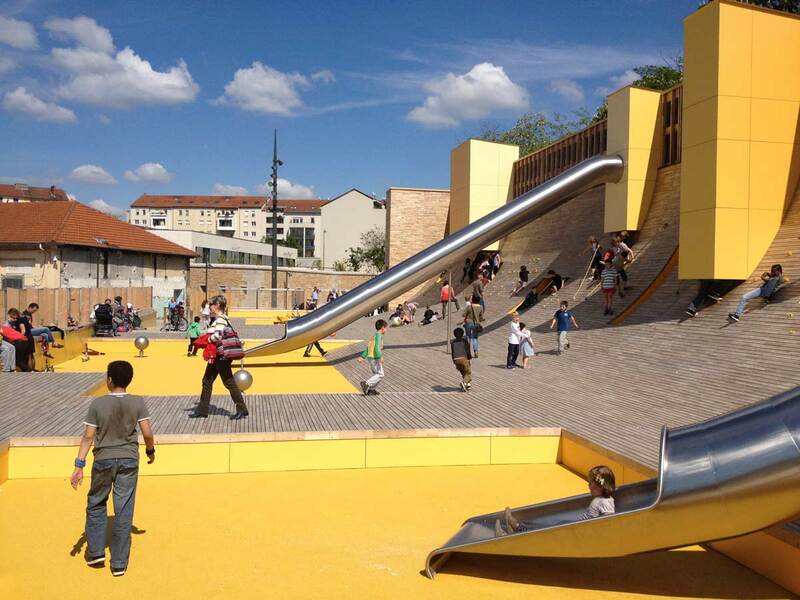 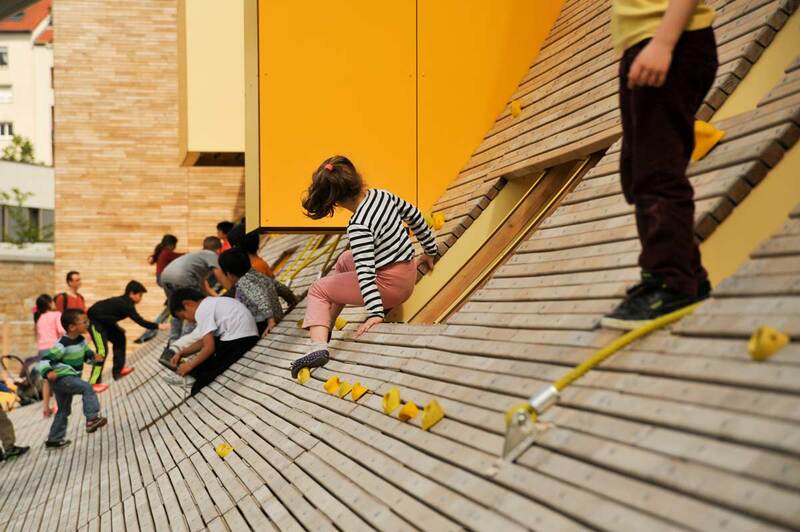 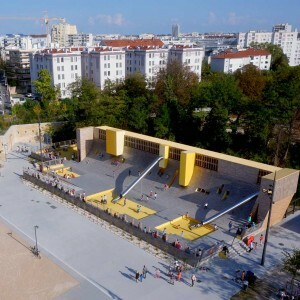 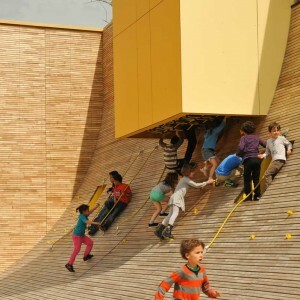 It is a 1000 m² wooden playground designed based on the risk-taking concept already experimented with in the Belleville playgrounds in Paris (2008) and Lormont (2014). 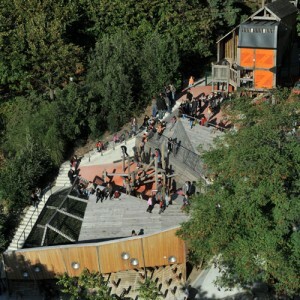 The Wave plays upon the story of a 19th century rampart attack. 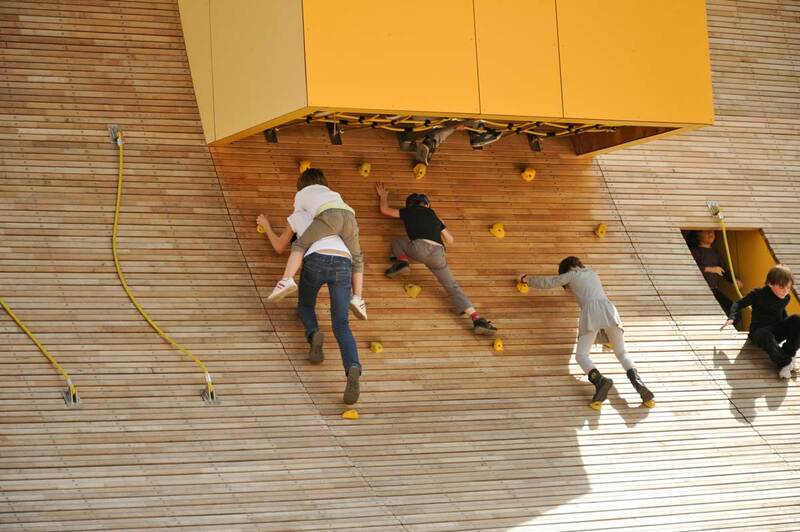 On opening day this allegorical collapsed wall triggered a playful hysteria for children and parents. 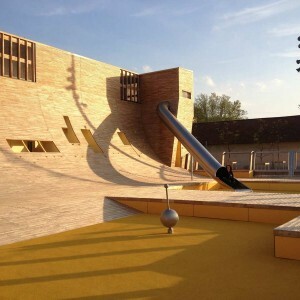 50 meters long and 7 meters high, the playground was literally attacked by overexcited children aged 4 to 12 years who were filled with emotion. 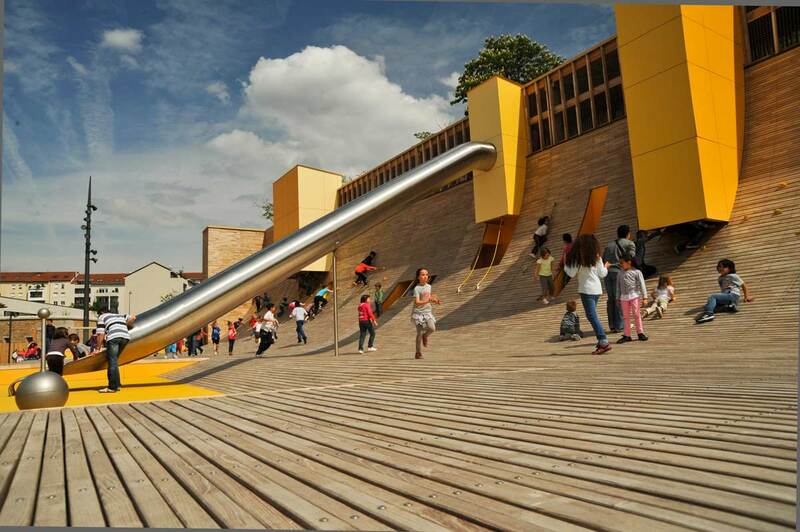 The playground plan is so complex than nobody knows exactly where the concealed passageways lead and which alcoves go to which entrances. 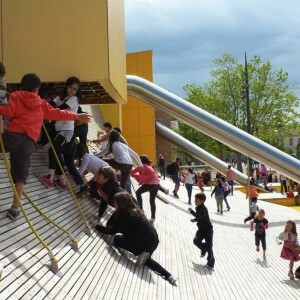 There are countless ways to reach the slides. 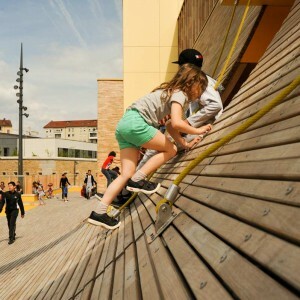 Like in Belleville, risk-taking is the playful aim of this playground that is designed for progression, learning and challenging oneself. 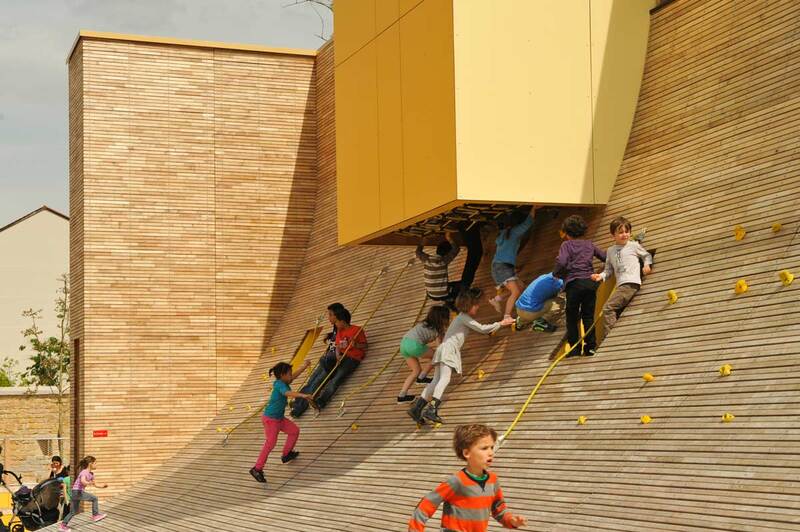 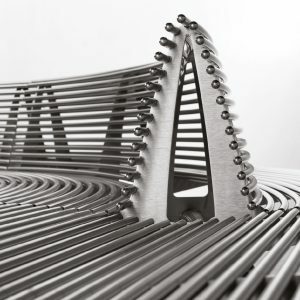 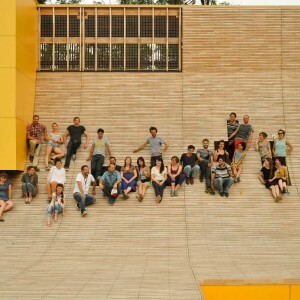 In spite of its architectural size, the Wave is not a building. 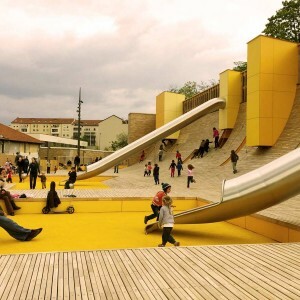 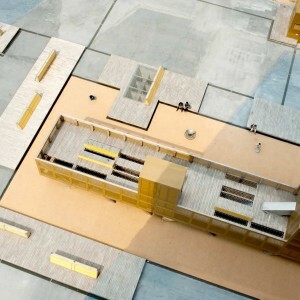 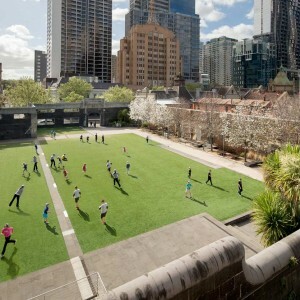 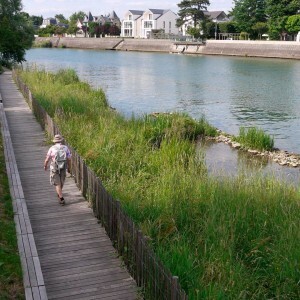 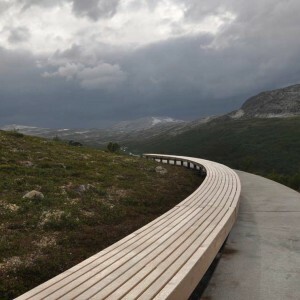 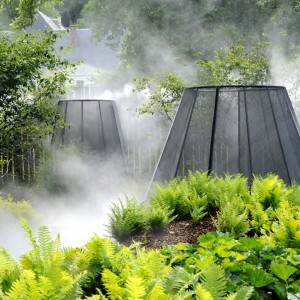 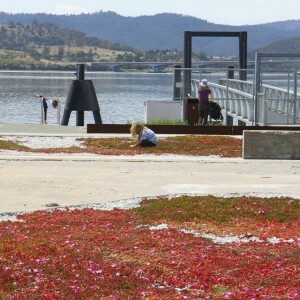 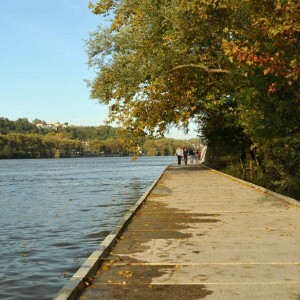 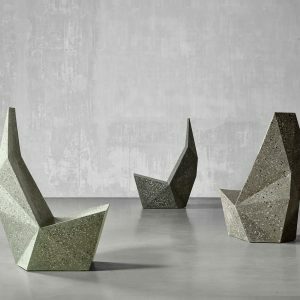 It is a landscape, an area to feel, to explore, a live playful allegory for children.